This family friendly motorhome follows traditional European design, but there are very few motorhomes you could call ‘direct rivals’ to it. 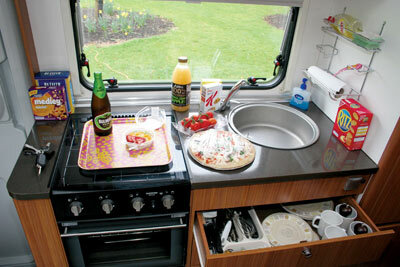 Adria may therefore have found a useful market niche virtually to themselves with this model. The Adria Sport A 660 DP has an awful lot going for it – three large double beds, six seatbelts, a huge garage and an extensive specification, all for less than £50,000. The ambient lighting (part of the SE Lux Pack), chromed locker handles, dark wood with contrasting white panels, duo-tone fabrics, and a jet black fridge, give the interior a very modern look. Touring solo in the Adria’s across-the-rear double and comfy dinette it feels like an upgrade to a five-star suite. But with four on-board – five with a dog – would the Sport feel over-crowed? When it came to trying the five, we certainly we had no worries about fitting everything in. Even with a pushchair (unfolded!) and electric ride-on car in the garage, plus camping clobber and sports gear, the huge garage looked almost empty. That bodes well for a longer trip. At the helm, the Fiat’s oft-praised ergonomics and performance is good, even better for the cruise control, armrests, and light, intuitive controls. And with 2000 miles recorded, the Sport still remained virtuous in terms of minimal conversion noise. Inside, a family of four fit comfortably around the sturdy table, whether the cuisine is Kievs, sandwiches or Weetabix. You can reach the enormous fridge for extra (or forgotten) supplies without getting up, too, and with the plates cleared away, the table is now ready for games. It all works so well that it’s no surprise that Adria UK report that this model is their best-selling Sport, easily outnumbering its low-profile motorhome cousins. The washroom is functional with large shower and ample storage for whatever belongs there. The generous (100-litre) fresh water tank is essential for family use, the waste tank drains quickly and easily (if only more British ’vans got this bit right). 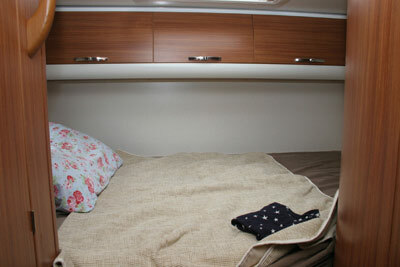 The beds are large and firm – the rear transverse double, overcab double and the one that makes up in the front dinette. The Sport’s kitchen has more storage than you could hope to fill – it’s definitely family-sized, as is the shiny black fridge and its separate freezer. When it comes to daylight, the Sport’s got it covered with no less than five rooflights of varying sizes and positions, and windows are wide and well-placed. Night-time lighting is equally well provisioned. 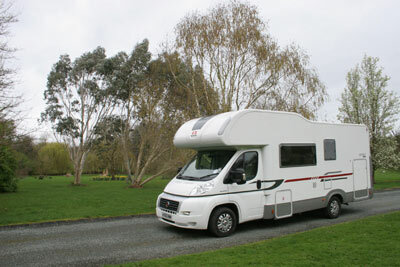 Despite a competitive price, as with all motorhomes worth over £40,000 buyers of the Adria Sport A 660 DP are advised to invest in additional security such as a Thatcham Category 1 approved alarm system or motorhome tracking device, to protect their investment and lower motorhome insurance costs. Adria motorhomes have been scoring well for the quality of their build for some time now and this 2011 Sport does nothing to break the pattern of impressively turned out vehicles. It seems to be a real family motorhome that can sleep, seat, feed and wash all on-board in comfort and without sacrifice. Big, beautifully built and well-equipped (with the de rigeur SE Lux Pack), only lounging space is a compromise. 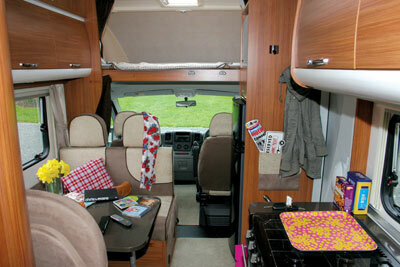 * Cost to insure this motorhome is based on a 2011 Adria Sport A 660 DP valued at £44,851. Fitted with manufacturers immobiliser and Thatcham Category 1 alarm, kept on driveway at home at TD9 8ED. Motorhome owners – professionals over 50 years old with no claims, convictions or health conditions in last 3 years. 4 years no claims bonus mirrored from car policy and 2 years motorhome driving experience. Members of motorhome club doing less than 7000 miles annually. £250 excess applies. European cover £4 extra, European Breakdown £43 extra. Premium includes IPT at 6% and is correct as of 13.05.11. We lovde this van – Currently three kids sharing alcove but next summer we have to start using dining table / bed conversion. We have golden treaver too and he just loves it too 🙂 Greart storage with massing garage. Thanks for the review, had a look before buing. We are two BIG Hungarian adults with 4 sons…. we are not fat (but tall and muscled) and do NOT want to climb in an alcove! Maybe you want that, but we do NOT we are 40 and almost 50 years old and don’t want to climb a ladder to enter or to leave the bed….We want a double bed in the back! The boys can sleep together in the alcove and and when we stay for a longer time on a campsite, a small tent will be built up and the 2 big boys go there and we have our privacy too…..and for the boys sleeping in a tent much more adventurous! We just want all boys onboard sleeping during the trip from A to B or in case of really bad weather to have them sheltered, so therefore we would like to have this one…. Have to agree, bunks aremust for a family, or no one gets much sleep. although it might take 6 only looks to seat for at the table, As mum is usually last to sit down looks like i’d be the one with food on a tray. I bet there not much female input in this lay out. I saw the summary of this article and was very excited as we are looking to upgrade our family van and struggle to find vans for families … and of course this one doesn’t meet our needs – no bunks ! Why put 2 double and call it a family van ? Lovely van, we have an adria 690dk, and its a fabulous family van,but why oh why do you think that your 2 children want to sleep next to each other?in my opinion it is a mistake to with draw the bunkbeds…..